Located in St Heliers, Auckland, you will walk into a professional and friendly environment that is community and family focused. 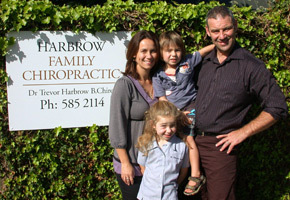 Dr. Trevor Harbrow is committed to maintaining clinical excellence through continued professional development and awareness of current research and advances in Chiropractic. It is the third largest health care profession in the world. It is drug free and extremely safe. Chiropractic is natural and it works. We are happy to offer you a complimentary spinal check, because we have seen life changing benefits first hand. Please contact us to request an appointment.